Q: What made you decide to write about the Knox case? Were you following it closely or did it strike a chord sometime later? A: Cartwheel isn’t about the Knox case, though that case did inspire some of its themes. What interested me about that story was the way that everyone seemed to see something different in Amanda Knox, and the extent to which these varying interpretations were often shaped by larger issues of gender, sexuality, class, American entitlement, anti-American resentment, etc. I liked the idea of exploring that phenomenon in a fictional landscape by writing about a character who elicits dramatically different reactions in the people around her. Q: How did you decide which aspects of the people and case to remain faithful to and which to change for artistic license? A: My intention wasn’t to explore the case itself, but rather the broad philosophical and epistemological questions that it raised. So I really only used the general scenario—a young American woman on study abroad accused of a crime—as well as a couple of small details that seemed particularly salient to the thematic issues I was interested in. 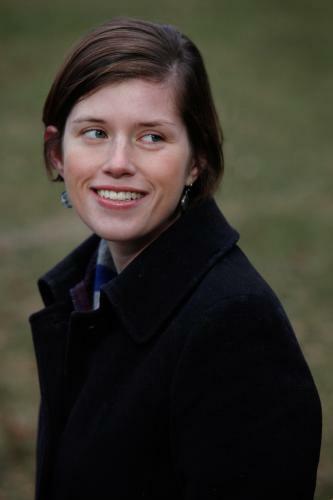 My character Lily Hayes’ cartwheel, for example, was inspired by the cartwheel that Amanda Knox was initially (and falsely) reported to have done, because that episode seemed to me to be so illustrative of the way that people can look at the same moment and see entirely different things. But because everything in Cartwheel is revolving around its own questions as a novel, nothing in it is trying to be faithful to the Knox case; all of it—all of the characters, their pasts, inner monologues, psychologies; all of the events; all of the dialogue; everything about the setting, etc. etc.—is artistic license. My first book A Partial History of Lost Causes also explored a broad thematic question through a character loosely inspired by a real person—in that case Garry Kasparov, the chess-champion-turned-dissident-in-post-Soviet-Russia—and that book, too, was completely fictional, though it contained much stronger parallels to reality than this one does (it was, for example, set in Russia). Q: Every reader will be the judge and jury, deciding whether Lily is guilty of Katy’s murder. Were you trying to hide your own answer to that question, or do you feel that you’ve dropped hints about your personal verdict? A: I certainly didn’t want to write the night of the crime from Lily’s point of view, both because I wanted to explore the other characters’ differing conclusions and because I hoped readers would explore their own—I hoped they would wind up thinking not just about what they believe happened, but also about why they believe it. I always thought my own take was pretty obvious by the book’s end, though, and I’ve been surprised to find that readers’ interpretations seem to be splitting down the middle—which is great, since it makes for a much livelier conversation. I also think it’s kind of interesting that a book about divided interpretations managed to itself inspire divided interpretations without really trying to—there just seems to be something about a situation like this, and a character like Lily, that sparks disagreement. Q: Why did you choose to call the novel Cartwheel? That one moment does seem to encapsulate the contradictions in Lily’s character and make the reader wonder deeply about her. A: My agent actually suggested the title, and I was immediately drawn to it. Lily turns a cartwheel during her initial interrogation, and this fact—like everything else she does and says—is viewed very differently by different people: for some it’s callous and thus suspicious; for others it’s guileless and thus exonerating. So even though the cartwheel is a relatively minor episode, it really captures the book’s broader themes in microcosm. Q: So far you’ve written a novel involving Russia and one involving Argentina. Is that just a coincidence or are you particularly interested in other places and cultures, especially as they effect American visitors? A: I am very interested in geopolitics—I was a political science major in college—and I think you can only write a novel you’re geekily interested in. So it’s definitely not a coincidence that my first two novels have foreign settings, though those settings emerged differently: Partial History was inspired by a particular interest in Russia, whereas Cartwheel was inspired by interest in the kind of cross-cultural incomprehension that can happen anywhere. The novel I’m thinking about now is set in New York, so I guess I’m interested in America, too.